This strong man with ice cream is a fantastic example of adding a touch of flair to a space. In any home design there should be at least one element that boasts unexpected, yet interesting qualities. A space that has an extra design element, a bold color, or a unique feature, tends to be remarkable and memorable. On the contrary, spaces that have nothing unique to offer tend to end up looking generic and undistinguished. 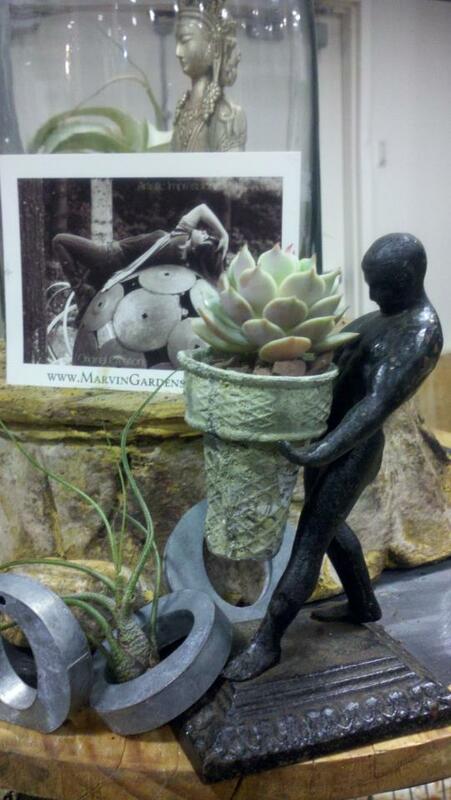 That’s why at Marvin Gardens, we feel that a piece to peak your interest has become a necessity for any design scheme! After looking through our gallery of inventory (which is always changing) you might have noticed that many of our garden and interior accessories are one of a kind. In offering products that are visually interesting, we help our customers achieve a distinctive look for their home that won’t be replicated anywhere else. As you look through the garden and home accessories on our Facebook page, can you think of any pieces in your own home that showcase creative qualities? We would love to hear about them!